Chevonne is a lover of all things pop culture and Oprah. 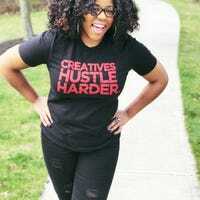 Creator of the blog AdoreColour, her work has appeared in EBONY, ESQUIRE, HuffPost and more. She’s also a proud two-time Monopoly winner. I Knew the Story of Whitney Houston Was Sad, But My God! This article contains major spoilers.